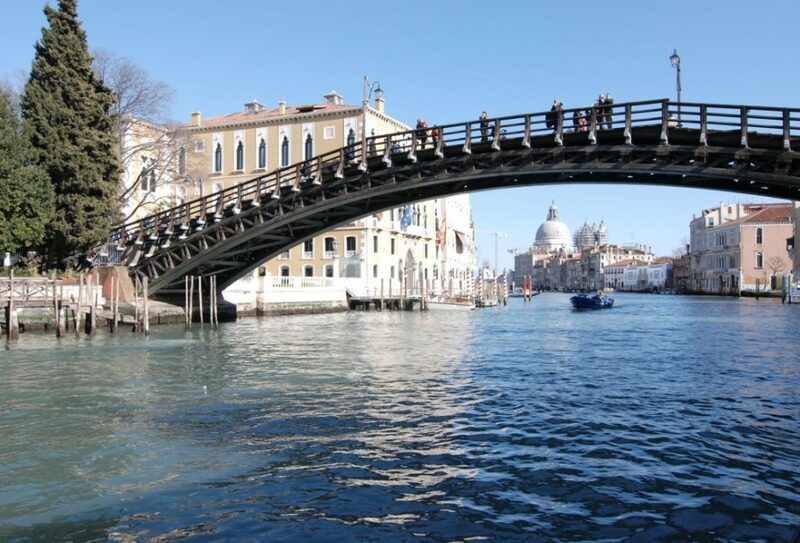 The Accademia Bridge is one of only four bridges to span the Grand Canal in Venice. 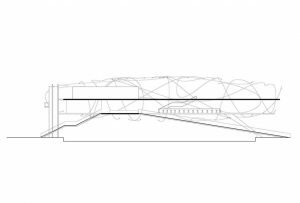 The new design for the bridge – intended to replace the provisional wooden construction – is a light-weight, membrane construction forming a transparent ‘roof cloud’ over a free-plan geometry. 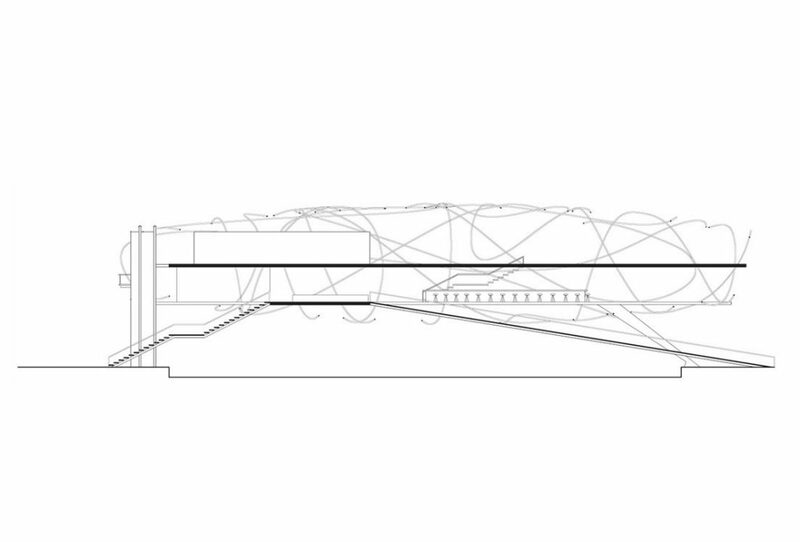 Interior and exterior spaces are blending together into a spatial and functional continuity. 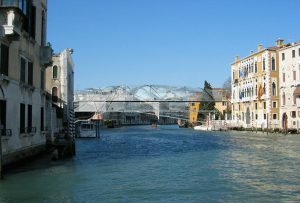 The bridge and the connecting museum (Gallerie dell’Accademia) interact within the cloud. 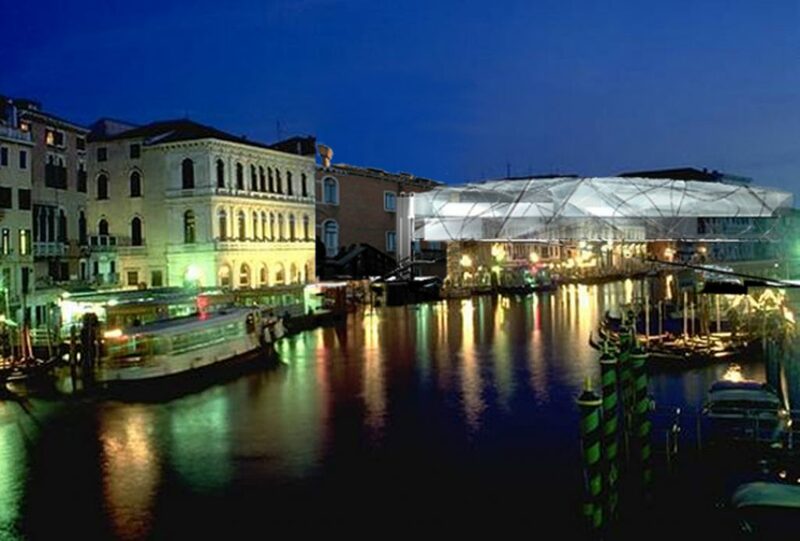 The structure creates a dynamic image that allows for constant changes in season and time. 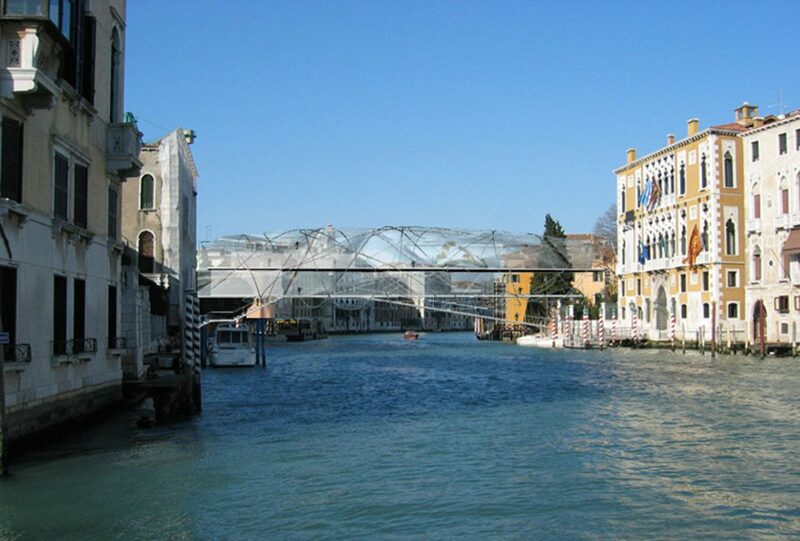 The bridge becomes an intangible object that hovers above the Grand Canal. The form changes from a translucent object during the day to a lantern object at night. The structural system is optimized as an irregular spatial structure of intersecting steel tubes. 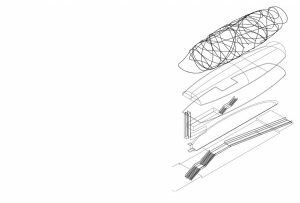 These generate a cocoon-like spatial framework in the form of a ‘roof cloud‘.